Meet and learn from the most brilliant underground legend of magic. This DVD includes 9 solid routines, new moves, and amazing concepts. Ring And Rope - It's Time To Learn A Solid Sequence That Will Fool Everyone. Coins Thru Table - End Your "Coins Thru Table" Routine With Baltazar's Imp Pass. This Is A Killer. The Matrix Strikes Back - Fenik Invented This Version Of The Coin Matrix 22 Years Ago. Now You Will Learn It From Baltazar's Hands. Revolutionary Pass - Finally, The Most Versatile Underground "Pass" Has Being Realeased. Yes, You Will Learn This Invisible Pass Thanks To The Clear Explanation Of Its Creator. 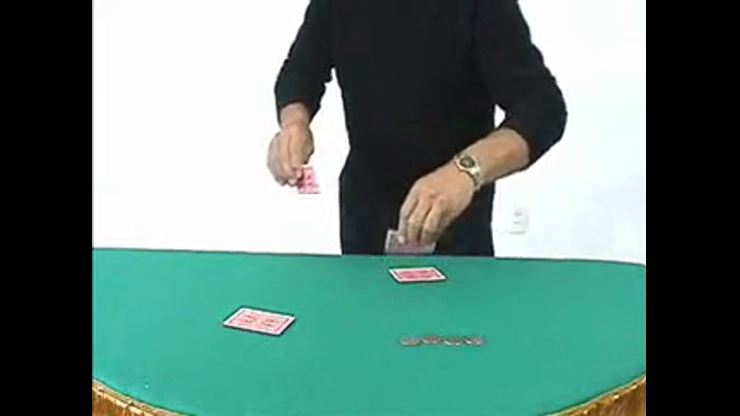 Disention Aces - A Beautiful Effect, An Excellent Card Routine, A Superb Technique. The Aces Penetrate Through The Deck Of Cards. Baltazar's Turnover Pass - This Turnover Pass Is Easy And Practical. You Will Use It Forever. Coins And Purse - Four Coins Disappear One By One From The Magician's Hands In The Most Amazing Manner. Later On Three Coins Reappear Out Of The Air And The Fourth One Is Found Inside Of The Purse. Phantom Kings - This Is A Magician's Fooler As Four Kings Are Transformed Into The Four Aces. Now The Kings Are Taken From The Magician's Pockets And The Ending Is Suprising. Simply enter your details below and we will send you an e-mail when “Baltazar Fuentes And His Magic by Baltazar Fuentes - DVD” is available to ship!